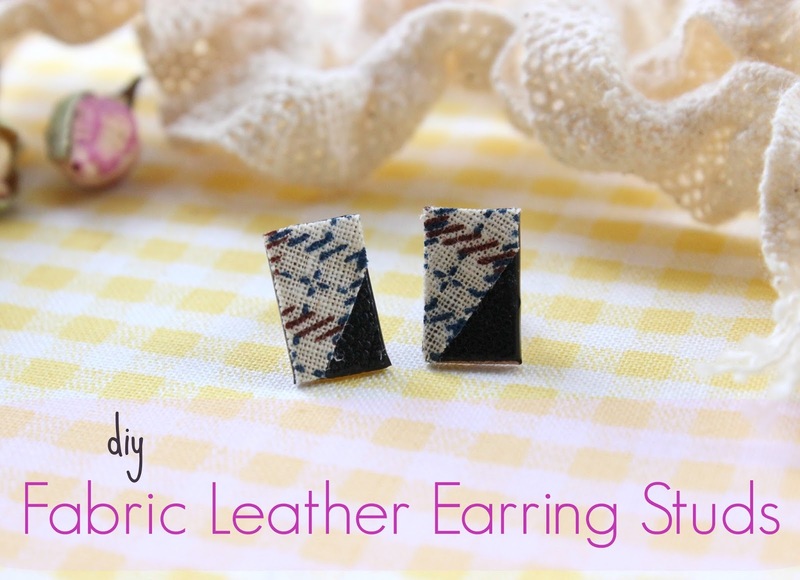 DIY Fabric Leather Earring Studs!!! Crafting is my way to relax, to empty my mind, to be a few moments without a phone or anyone talking to me… is my way to be alone and to think only about how I will finish a jewel or how to combine the materials I have. And sometimes, you just need to do something even simple just in order to feel good… and these earrings with fabric and leather created in that way… when I was really stressed and I just wanted to relax! 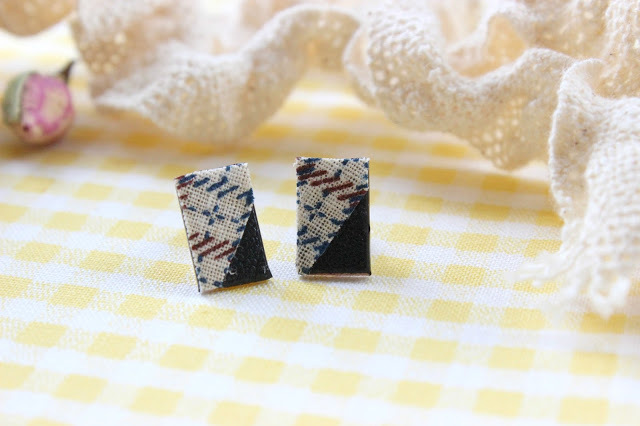 You cannot imagine how simple are these earrings, but at the same time they are so beautiful to wear them everyday and of course you can create in the same way more than one pair of earrings, depending of the leather and the fabric you have. 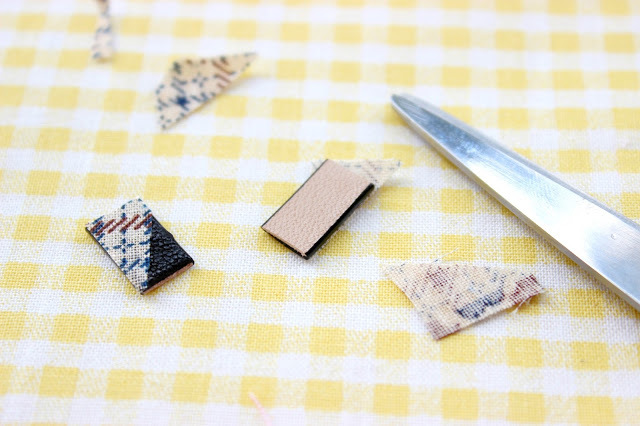 So just cut two small almost square pieces from leather, choose your fabric and try to decide how would you like to have it on the leather. 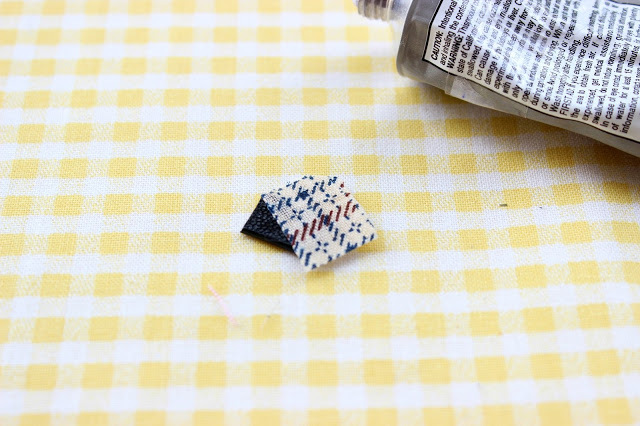 Put some glue on the fabric and add it on the leather. Cut the remaining fabric. 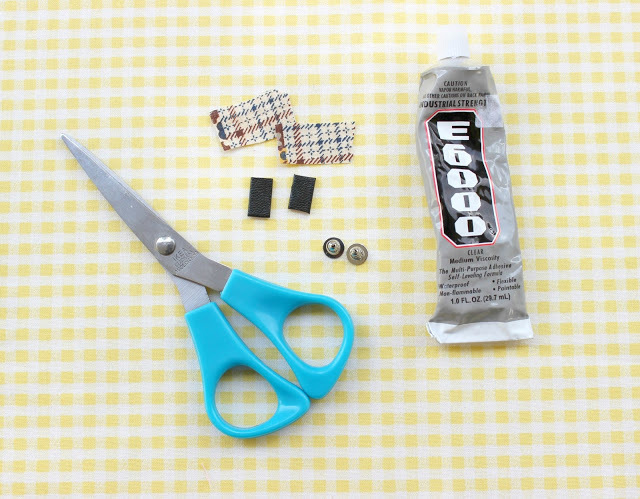 Add glue also in the earring studs and put them on the back of the leather. 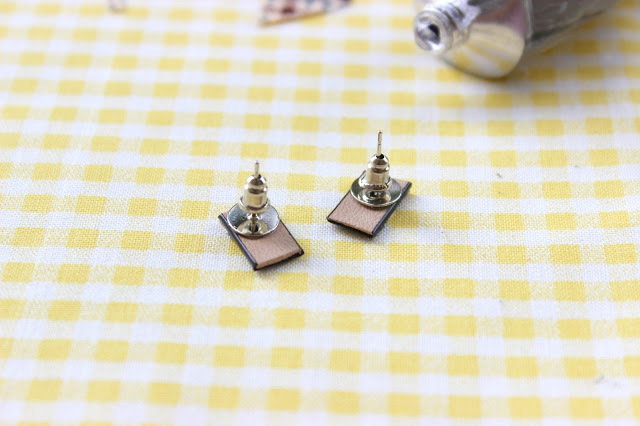 Let the glue dry and your earrings are ready! Simple, right? Sometimes I really adore how simple the things can be done… and at the same time they are still amazing! Ax βρε ότι πιάνεις γίνεται πανέμορφο!!! Φιλάκια!!! Φοβερά και εντελώς του γούστου μου!!! Πολύ όμορφα Ζηνάκι και αρκετά πρωτότυπα! Είναι υπέροχα! Και δεν χρειάζεται εργαλεία για να τα κάνουμε γιούπιιιι!!! Τόσο απλά να γίνουν αλλά και τόσο υπέροχα! Μπράβο Ζήνα μου! Είναι τέλεια!